Jules Design is pleased to announce a full-array of lifestyle photography services at industry leading prices without copyright restrictions. TORONTO, ONTARIO, CANADA, March 8, 2019 /EINPresswire.com/ -- Jules Design, a Toronto Product Photography1 company, is pleased to announce a full-array of lifestyle photography services at industry leading prices. Unlike typical agencies, our models and set locations are inexpensive. Moreover, we do not bog down our clients down with copyright restrictions. Our services also include inexpensive location site scouting as required. We cater to the Amazon Product Photographer3, eCommerce merchant or traditional brick and mortar business looking for great photo services at a competitive price. Lifestyle photographs are images that depict people or things in a real-life situation. It can be people drinking coffee in a restaurant, a piece of furniture in a living room, a woman applying cosmetics with a pure white background. Essentially, lifestyle images depict a person or thing in a real-life situation. Amazon and eCommerce merchants have made lifestyle photographs mainstream. Like infographics, lifestyle photos can demonstrate the functionality, benefits, applications, and prestige of a product. Moreover, many merchants such as Costco or Wayfair now require or prefer vendors to provide lifestyle images. Realism is contextual when creating a lifestyle image. With the creative use of graphics, the need for expensive studio sets and models can be avoided. A good lifestyle image is measured by its impact, not it’s a degree of realism. This is an important consideration because shooting offsite can get very expensive very fast. With a creative use of graphics, Jules Design can subvert the need for costly models and studio sets. Finding or building a shoot-location, plus setting up gear can get tedious. If time is money, cost overruns can easily occur. When planning lifestyle images, it is best to have a realistic idea of your budget and what you want to convey; from there, you can better assess your options. Having models is often a necessary component for lifestyle photograph; fortunately, there are many ways to get great talent. Commercial modeling agencies, friends, family and even you can be a great source for models. If you need other sources, many freelance models advertise on Facebook, Instagram or Kijiji. These professionals can range from amazing to not so good; that said, their rates and usage terms are always much better than those offered by agencies. Meeting the model before the shoot is always a good idea. You absolutely want to make sure they are a good fit for the job. Moreover, we recommend that you pay the models since people are more reliable when they are compensated. Agencies often deliver reliable talent but they are very expensive. Moreover, they tend to commit clients to annoying copyright restrictions. This means you need to ask (and pay) every-time you want to use or re-use the model’s photos. To many business owners, these restrictions are irritations and they prefer to avoid them as much as possible. There are numerous paid and free sites that offer stock photos. Use these images and re-purpose them to fit your lifestyle photography needs. With a little creativity, using these images can save you time and money over orchestrating your own lifestyle photos. If you choose to make your own lifestyle photos, quality is important. Appropriate lighting, white-balancing, exposure, and composition matter. Poor images can undermine your product’s credibility. So it’s important to note that smartphone cameras usually cannot produce the quality of a proper DSLR. For this reason, use a proper camera when producing your lifestyle images. Many public locations (such as malls and airports) do not permit camera work without written permission. Some locations require fees or simply prohibit photography or video recording outright. Subverting appropriate authorization could subject you to legal jeopardy. Before executing your project in any public or private location, know the rules and seek the appropriate permits as required. Failing to do so may put you at unnecessary risk. If you plan to use people in your lifestyle images, you will need them to sign a model release form. This document is a contract that gives you the permission to publish their face for commercial use. There is no sense in doing a photo shoot if the model will not allow you to use their photo. The model release form may outline the compensation and usage terms of the modeling agreement. Aspects in the form may include how the image will be used, expiry dates and more. If you plan to produce your own lifestyle images, the onus is on you to keep and preserve the agreement in the event of a dispute. With the wealth of images available on the web, be sure to use images with the allotted permissions. Using someone else’s art without their authorization is a breach of copyright and akin to theft. To minimize exposure, use your own images or acquire them from a stock art sites with the appropriate licenses. Coordinating your own lifestyle photography project can seem daunting; fortunately, Jules Design makes it simple. With a simple conversation, we can assess your goals and budget to propose a variety of practical solutions. With our network of models, graphics capabilities and studio, we can produce a series of lifestyle images that will serve you well. Jules Design is a Toronto Lifestyle Photography service. 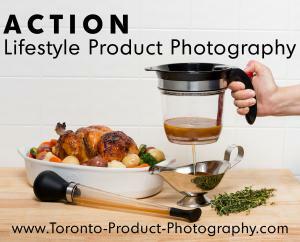 We offer in-studio and on-location lifestyle photography. We are equipped to offer fashion photography, video and product photos of all sorts. We also specialize in creating lifestyle images for Amazon and other eCommerce sites. Our studio is located near the DVP and Eglinton. Clients are welcome to be part of the creative process and the photo session. For more information on commercial lifestyle, photography contact Jules Design.